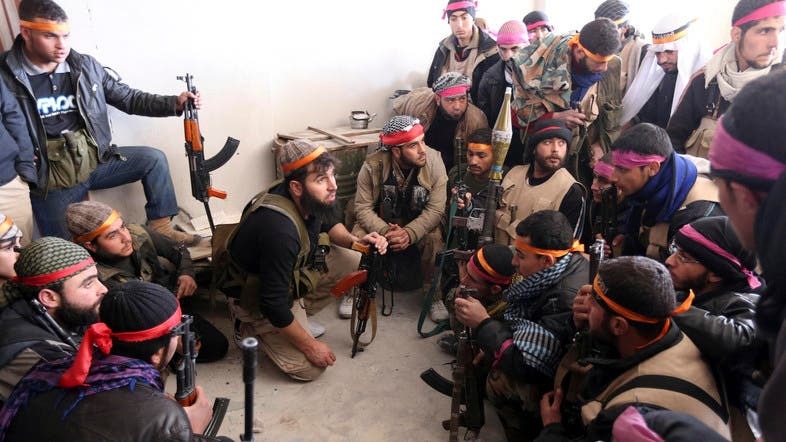 As the White House asked lawmakers to funnel $500 million towards moderate insurgents, Syria’s opposition government sacked the military command of the rebel Free Syrian Army (FSA) late Thursday over corruption allegations, Agence France-presse reported. Chief of the opposition government Ahmad Tohme “decided to disband the Supreme Military Council and refer its members to the government’s financial and administration committee for investigation,” a statement said. The decision came amid widespread reports of corruption within the ranks of the FSA, which is backed by Western and Arab governments in its battle to overthrow President Bashar al-Assad. The government in exile said it was also sacking FSA chief of staff Brigadier General Abdelilah al-Bashir. It called on “revolutionary forces on the ground” to set up within a month a new defense council and to fully restructure the rebel army’s command. The news comes after nine top FSA officers resigned in June over shortages and mismanagement of military aid from donor countries. Meanwhile, Syrian opposition leader Ahmad Jarba, who has long sought to form a stronger national Syrian army grouping all rebels, met U.S. Secretary of State John Kerry during trip to Saudi Arabia on Friday. Jarba, president of the Syrian National Coalition, has sought to overthrow Assad for the past three years. In May, Jarba travelled to Washington to plead for more arms from the U.S. administration. Kerry flied to Jeddah from Paris where he met with Gulf allies and Jordan Thursday to discuss the widening crisis in Iraq, as well as the war in Syria. He is also due to meet with Saudi King Abdullah to discuss the situation in Iraq and Syria. Islamist militants, who have captured a swathe of northern Iraq, have also seized territory in neighboring Syria where they are fighting both the moderate opposition and Syrian President Bashar al-Assad. The jihadist Islamic State of Iraq and Syria (ISIS), which aspires to create an Islamic state that straddles Iraq and Syria, has spearheaded the lightning jihadist offensive that has already captured territory north and west of Baghdad. This has prompted President Barack Obama to ask Congress Thursday for $500 million to train and arm vetted members of the Syrian opposition. Earlier this month, U.S. National Security Advisor Susan Rice acknowledged that the Pentagon was also delivering “lethal” support.